It is no secret how President Donald Trump feels about the Consumer Financial Protection Bureau (CFPB) and the Dodd-Frank Act. A few months in, and the Trump administration looks to restructure the CFPB with executive orders for a full review. Trump’s plans to cut back on regulations have been set into motion causing the average consumer to question the CFPB’s affect on everyday life. Named for Senators Barney Frank and Chris Dodd, the bipartisan act—formally, it’s the Dodd –Frank Wall Street Reform and Consumer Protection Act—was responsible for creating more stringent rules regarding bank capitalization (that is, the amount of money that banks must have on hand), increasing compliance and reporting standards for banks, introducing stricter mortgage requirements, creating the Financial Stability Oversight Council (FSOC) and the Consumer Financial Protection Bureau (CFPB), and curbing excessive risk-taking and the existence of too-big-to-fail institutions on Wall Street. The CFPB, a creation of the Dodd-Frank Act is essentially the watchdog for the average consumer in the financial marketplace. It’s main function is to make sure people understand the fine print and that financial institutions play by the rules. So it seems pretty obvious that the CFPB would benefit the everyday American. In February Trump ordered a report outlining the laws and regulations that may conflict with his interests. Although controversial, some portions of the review may gain bi-partisan support. “While some targeted relief to community banks is appropriate, we cannot afford to undo Dodd Frank’s essential safeguards,” said U.S. Sen. Mark R. Warner (D-VA), a member of the Senate Banking Committee. And surprisingly, as the Trump administration looks to restructure the CFPB, the Department of Justice questions the independent nature of the bureau, too. The CFPB is run by a single director that the president cannot remove at will, which could be ruled unconstitutional. However, other related orders by Trump, such as a delay of the Labor Dept’s “fiduciary rule” may meet more resistance. This ‘fiduciary rule’ requires financial advisers to put their clients’ best interests ahead of their own. A much lower standard of accountability about hidden fees and terms of agreement is expected from banks without this regulation. So, How Does this Affect the Average Consumer? Well, won’t know exactly for at least several weeks when the report is due at the end of May. But the stage is certainly set for a rare showdown between two federal agencies in court. Not unlike other changes made by the Trump administration, this executive order can affect your life in very substantial, real ways. Consumers are signing more and more contracts, that are unknowingly filled with forced arbitration clauses and immune to regulatory oversight. And these are not only contracts dealing with said ‘big banks’, they’re for essential consumer services like health insurance, child care, cell phones, credit cards, and nursing homes. Whether from a bank, a credit union, or another financial company, the prevalence of financial scams in America is a bleak reality. And without the regulations of the CFPB, providers are less likely to explain the costs, risks, terms and penalties involved. 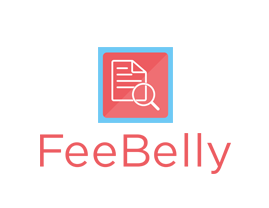 As a result, hidden fees and undisclosed fines are free to run rampant. Especially now that fine print is buried on the last page of online transactions, even cautious consumers need protection. Critics believe that the direction of these changes could be sending us back to a pre-recession era when big banks ruled. The timing couldn’t be better for consumers to take the matter of hidden fees into their own hands. 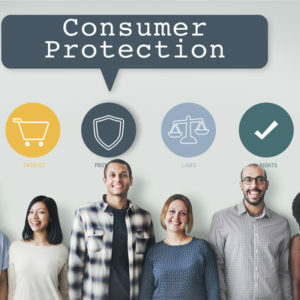 Recently, in recognition of National Consumer Protection Week, the Consumer Federation of America called for Trump to give more power to consumers. They asked “for pocket-picking fees on goods and services to be included in ads and website pricing” which would allow consumers to have a clear picture of total costs and to compare competition. 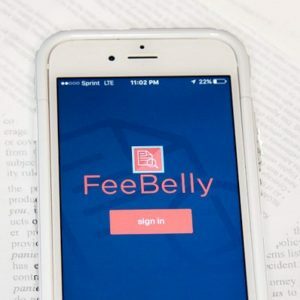 Luckily, in the meantime, we have apps like FeeBelly that can offer some help in the direction towards justice. FeeBelly offers an easy way to scan documents for those pocket-picking fees. The app, available now, helps to give you peace of mind and put you in control of the agreements you make. However, should fail-safes like FeeBelly be needed? Shouldn’t the people still be able to rely on the CFPB regulations? The main concern of the Consumer Financial Protection Bureau is protecting you, the consumer, from unfair practices. And FeeBelly has the same goal.